I know you recognize CCSS (Common Core State Standards). You probably know that CTE is short for Career Tech Education (which is post-secondary speak for adult CCSS). But, do you what CHEA stands for? Council for Higher Education. This is the group responsible for ensuring that your students attend a post secondary school that is accredited. Meaning the degree they receive (or in CTE’s case, a national certificate) is really worth something. However, I’m digging in to see who’s ensuring the CHEA is worth believing. After all, if they’d aligned with the CCSS Machine, how credible can THEY be?! 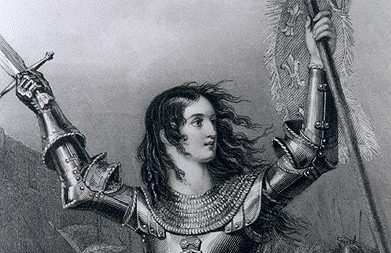 (ICYMI: https://commoncorediva.wordpress.com/2015/01/31/sic-em-saturday-ccss-in-christian-schools-even-more/) *NOTE: the article will link you to another related one. As we all know public schools are accredited by state governments. So, all this to ask, what is accrediting a school? Answer: quality control. Yet, how can you have quality control in Common Core? Quality control with CCSS is like fool’s gold. Yeah, it looks like the real thing? But it’s a mockery. It’s important to know just how CHEA judges a school to be worthy of accrediting. After all, your student’s loans and grants will go to these schools. Your students will more than likely be living there. You want to know that the school is a good one. No matter where your student attended their former educational days, when they go off to ANY post-secondary school in today’s America, They face CCSS via Career Pathways, Career Tech Ed, or it’s embedded in those classes that are fundamentally required. Think about all that I’ve shared over the past months about many of the higher ed schools and how they’ve been instrumental in CCSS. So, does CHEA include CCSS or CCR or CTE in THEIR guidelines? Let’s look. The CHEA website points you to their research and publications on the home page of the website. So, I clicked on the “Guidelines” pdf and was taken immediately to a brightly colored report. Nothing too unusual in that, but it was the tie to the Carnegie Foundation that caught my attention. Carnegie LOVES the CCSS. Grants from Carnegie’s Foundation and the Teagle Foundation made the 2012 report possible. What also caught my eye is that CHEA has the publication, but another organization’s name was cited as authoring it. (see below) We’ll come back to who’s behind the New Leadership Alliance for Student Learning and Accountability later. First, let’s see those guidelines. According to NLAfSLaA’s website, not much information about WHO makes up the Alliance is there. First guideline is ‘ambitious goals’ via outcome based education. I guess seeing the failure of OBE in preK-12th isn’t enough. Secondly: gathering evidence students are learning (fancy talk for data mining). Third goal has to do with using that evidence to steer improvement. How’s this concerning? Improvement isn’t only based on evidence..it’s based on current policies as well. IF the policies are CCSS laden, so’s the improvement. The fourth goal is sharing all that evidence with internal AND external constituents (aka ‘stakeholders’) Lastly, our trust as a public in those higher learning educational places. Along with the Alliance’s Board of Directors, the following organizations fully support these goals and all that goes with them. 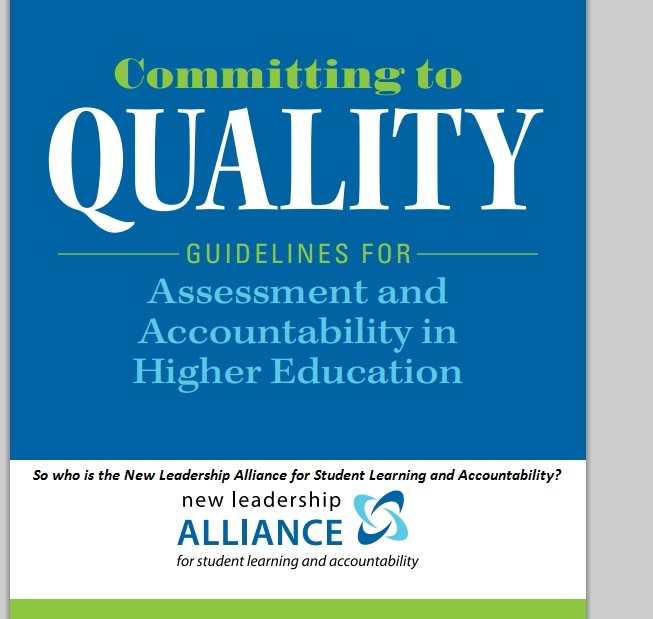 Earlier I stated we’d look at the New Leadership Alliance for Student Learning and Accountability. Website: http://www.newleadershipalliance.org/home.html (you’ll need to know that what you see is all there is. There is no ‘about us’ or ‘history’, there’s no list of members of the Alliance, no funding information either. I did find a principles statement from the Allliance on CHEA’s website. I’ll include it here. While there’s no specific mention of CCSS, CCR, CTE, or any other CCSS Machine speak, you’ll really want to read about the basis of this allied group. Not once did I see ‘rigor’, BUT I did see ‘vigor’. Could it be the CCSS Machine has switched to a new buzzword? Don’t get me wrong, I know higher education is needed. Our students have every right to a free (as in how to live life) and wonderful future. What is grievous is that higher ed, just like all the other types of education are being filtered through the Common Core/Career Tech Ed/Career Pathways/Career Clusters/Workforce agenda. Oh, the leader of the Alliance (stated above as ‘ex officio Executive Director’) David Paris? From his bio on the American Association of Colleges and Universities (also an Alliance member), he appears to be steeped in modern education reform. He’s even a fan of Horace Mann’s. He’s an expert in political theory and public policy, too. We’ve seen what those 2 entities have done to education. (the complete bio: https://www.aacu.org/contributor/david-paris) As far as the principles document? Here are the links to find out just how deep the CHEA is tied to the U.S. Dept. of Ed. In 2013, a news brief detailing how much money the Dept of Ed. could use to help accreditation changes via CHEA; how more organizations can get in on the student loan game, and what bills they were supporting that stood to change education. (see: http://www.chea.org/Government/FedUpdate/CHEA_FU31.html ) *Note: CHEA and the US Dept. of Ed, TOGETHER set the standards for higher education! CHEA’s funding comes from its member institutions. 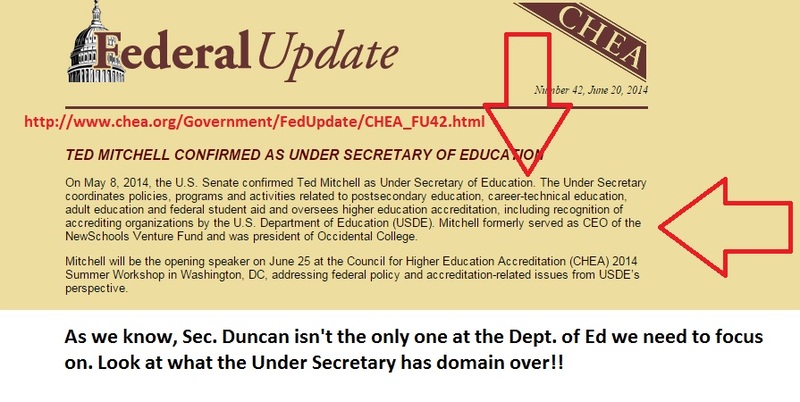 We know where Dept/Ed gets their funding from. It’s the Under Secretary for U.S. Dept. of Education who sets post secondary policy! Knowing public trust can be used against us is something we’ve seen happen repeatedly in the CCSS world in which we live. Here’s how CHEA sells what it does to those shopping for education in higher institutions.